In our world where we are constantly blasted with negative messages and the doomsday speech, Disney’s new movie Tomorrowland proves that we control our own destinies and that the future of our world is not set in stone, and depends on our choices. Through the power of optimism and faith in the possibility of a good future, nothing is inevitable. The movie paints a picture of hope for the future and does so in a fun, adventurous way. Director Brad Bird crafts a clever story that could be fit into the categories of adventure, love, or history, but really turns out to be a combination of all three used beautifully to convey this message of optimism. This hodgepodge of archetypes comes together to tell the story of a young teenage girl who believes in the good of the world and in doing so, saves it. The most incredible piece of the Tomorrowland film is the world that Brad Bird has dreamt up. This separate dimension is filled with dazzling advances in technology that seem to be inspired by Walt Disney’s vision of Epcot Center. Incredible towers soar into the sky, people fly by on jetpacks, and all transportation has been replaced with a type of hover monorail. This world was breathtaking on the Imax screen where we watched the film. During our press preview, there was an overall collective gasp through the crowd the first time that the beautiful city was revealed. 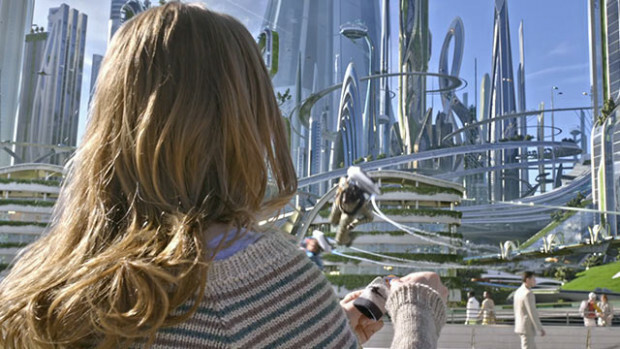 These breathtaking visuals make this one of the few movies of recent memory that would be really enhanced with an Imax viewing of Tomorrowland. Over the last few months I have been avoiding the previews of Tomorrowland like the plague as I attempted to keep the movie a secret. This was a fantastic choice, as the mystique of the story added to the entire experience. So, if you are sold on the movie: STOP watching previews so that the movie will surprise you as much as it surprised me. Are you excited for the new movie? 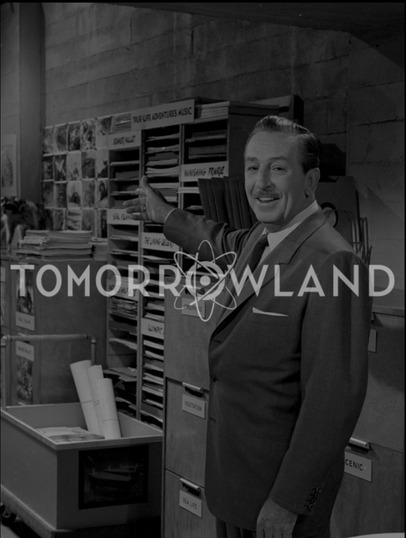 Do you intend on seeing Disney’s Tomorrowland? Once you do see the movie, I would love to have you add your opinion in the comments below or in an email message. There are some amazing, Disney-related, plot points I would love to discuss, but that is for another article once everyone has seen the movie.